“But it’s been 14 years of silence. It’s been 14 years of pain. It’s been 14 years that are gone forever, and I’ll never have again,” Guns N’ Roses sang back in the day. They could have been singing about the seemingly neverending IC4 saga. According to the transport minister, Hans Christian Schmidt, the Transport Committee will meet with railway operators DSB before the summer break and the future outlook for the IC4 trains looks bleak. Schmidt contends that DSB doesn’t see much of a future for the IC4 trains either, and plans are afoot to gradually phase out the scandal-ridden trains. When the trains were ordered in 2000, the IC4 was seen as the train of the future for the Danish railways. Alas, it was not to be. Not only was the arrival of the trains continuously delayed by its Italian supplier AnsaldoBreda – the final trains were 13 years late – but when they finally did come they were ridden with technical and structural problems that kept many of them from ever carrying passengers. 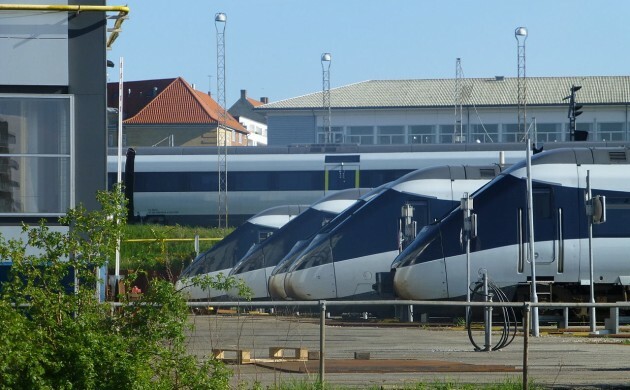 As a result, there are few IC4 trains on the rails between Copenhagen and Aarhus, and recently more technical issues have emerged, including the doors not being able to close properly.